After a long week at work, the weekend is finally here! 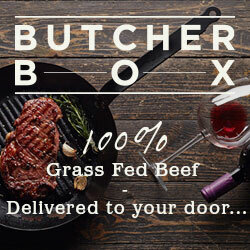 Time to relax, unwind, maybe have a bbq and some friends over… You also need a good cocktail like this one to share with them. Its as good as it looks. 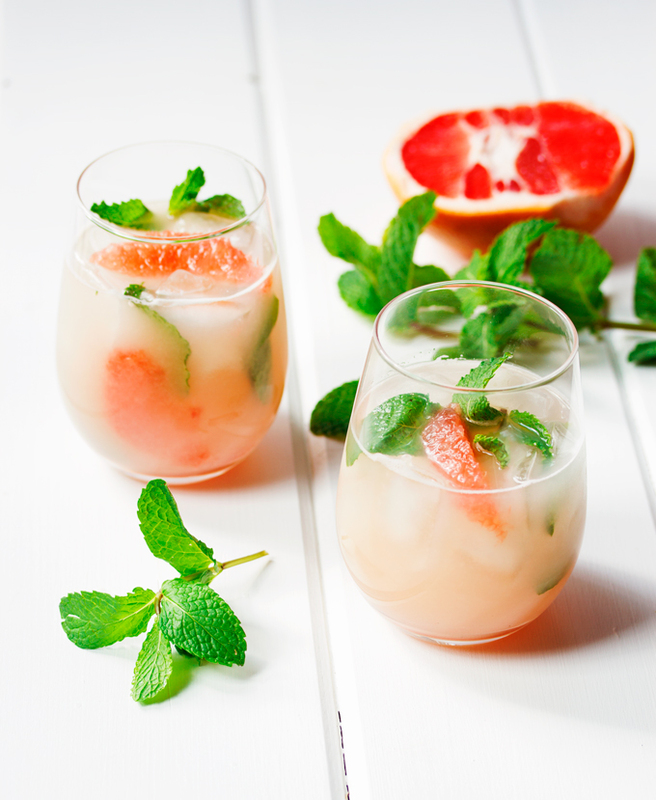 Fresh squeezed grapefruit juice, revitalizing mint muddled with smooth vodka and shaken with egg whites that create a wonderful silky froth. 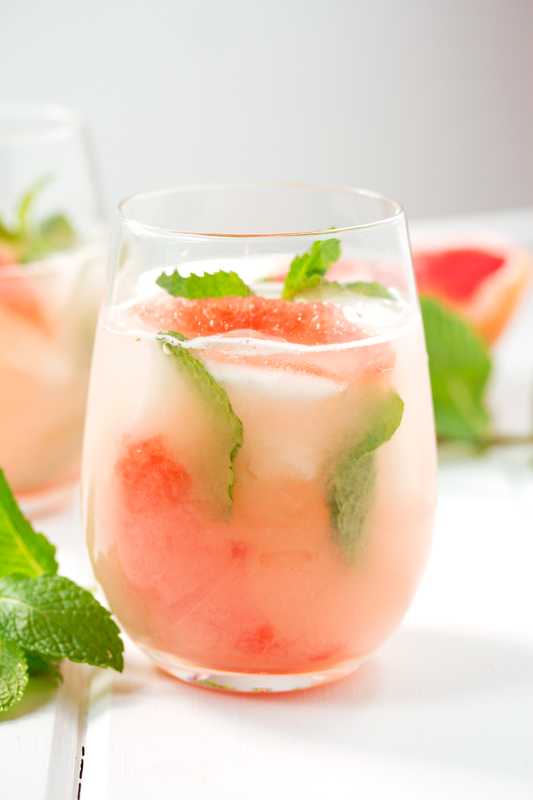 It’s sweet, citrusy and refreshing. If you haven’t tried egg whites in your cocktail or your nervous to try it, I challenge you to give it a shot. I felt a bit weird about it at first, but I am fully on board. I bought a bag full of grapefruit, mint, and the rest and brought it with me to visit Jenn, another of my favorite people, and her mom, Linda, in Cashe Creek. A day of playing around on the farm, riding horses, and playing with the dogs, made us dang thirsty! I made us all one of these and they were amazing! to make the juice, I peeled and segmented the grapefruit, threw the segments in the blender and made some juice. I strained it a little, but not entirely. The grapefruits were sooooooooo sweet. 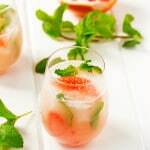 We made drinks with all 6 grapefruits, sat around the kitchen table, chatting and reminiscing and every once in a while exclaiming how delicious our cocktails were. As it turned out, Jessica and I were heading to Debbie’s the next afternoon for dinner. So I bought another bag full of grapefruit and told Debbie she had to have a taste. When you blend grapefruit, you have to cut the peel off and then take the segments out so that there is NO pith and definitely NO seeds. The first couple grapefruits I blended had a little pith on them and when I blended them up and made a cocktail with the juice, it was bitter. I may have seen a seed fall in there too. So bitter we had to scrap it and start again. The next batch was sweet and perfectly grapefruity. You don’t have to use a blender. You can squeeze them by hand, or if you have a citrus juicer that would work great too. This weekend, Debbie and I are heading to Seattle for a photography course. We are soooooo excited! We have worked really hard at learning as much as we can to improve our food photography. Reading blogs and books and practicing a lot too. But how great will it be to learn from an actual human, and professional I might add. One that can just tell you the answers to your questions without having to search through pages and pages in google. That will be a novelty. We’re attending a natural light class and a styling class in Seattle at Clare Barboza’s studio. You should check out her studio! Its like a food photographers dream come true… Walls and walls of props and dishes and fabrics and background surfaces! We can hardly wait. We are going to have fun wandering through Pike Place Market afterwards, trying out some new restaurants and bars. We’re so looking forward to learning some new skills and new inspirations for our blog, our recipes and our food photography! Have a bright, sunny, and happy long weekend! Pour the vodka and the mint into a martini shaker. Muddle the mint well. Add some ice to the martini shaker and then the fresh grapefruit juice and the egg white. 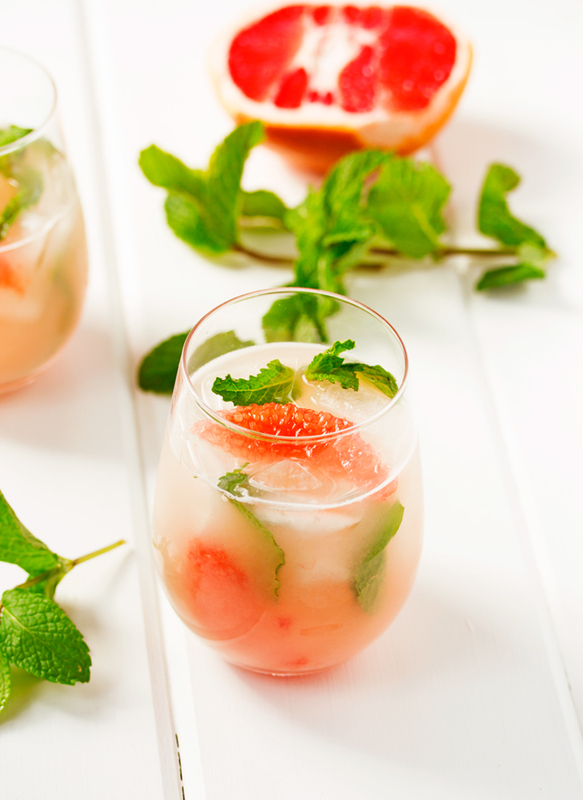 Pour into a glass of ice, garnish with grapefruit segments and a little mint. 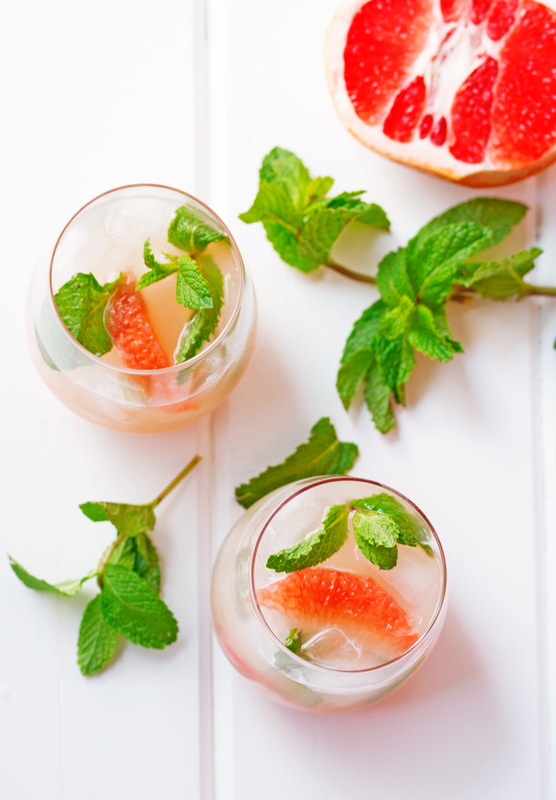 Each grapefruit has about 3 oz of juice. We found the best way was to peel the grapefruit with a knife, remove the seeds, blend it up and then strain it. If you choose to blend it instead of squeeze it, make sure that you don't get any seeds or pith in the juice or your juice will be bitter.